As a dedicated motorcycle rights advocate, I would like to take the time to write to individuals that know little or nothing about motorcycle clubs and have a conversation about how motorcycle clubs are being generally mischaracterized after the recent tragedy in Waco, Texas. The vast majority of the information circulating comes from those unfamiliar with the culture and is based on sensationalized and inaccurate media reporting. 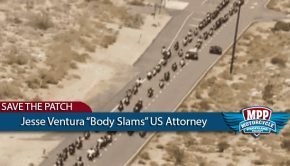 The tragedy is being used by many media and law enforcement sources as a justification for broader-based discrimination against all motorcycle clubs, regardless of the well established 1st Amendment freedoms of association and expression. This is not just a motorcycle club issue. This is an issue that impacts core constitutional principles and the viability of the criminal justice system. To begin the discussion it is important for you to understand the source of my perspective. It is only fair that the reader be familiar with my experience and credentials in order to assess the validity of my claims. I am a second generation member of a motorcycle club founded in the Northwest in 1968. I have been around motorcycle club culture my entire life. I am currently the Chairman and Spokesperson for the Washington State Confederation of Clubs and US Defenders. Since 2005, I have attended hundreds of Confederation of Clubs meetings and events coast-to-coast including a Texas COC & Independents Region I meeting this January, the same meeting that occurred March 17th in Waco, and two recent national COC gatherings in Dallas and Houston. I have participated in political gatherings and social events involving every club that participates in the COC nationwide. I am probably most known for my involvement in the unified effort to pass the first law addressing the issue of motorcycle profiling in 2011. I have written a book about the experience (The book is called Black Thursday and can be purchased here and on facebook) and I also created the Motorcycle Profiling Project (motorcycleprofilingproject.com) to support the movement to pass similar laws in other states. I am also heavily involved with the Confederation of Clubs and US Defenders nationally, having traveled to and/or worked with every participating state in every region of the country. I have testified and/or spoken on the steps of many state Capitols over the last decade specifically addressing the issue of motorcycle discrimination. Recent examples include Washington, Oregon, California, Texas, and Maryland. I believe I am qualified to speak credibly about issues relating to motorcycle profiling and discrimination based on these experiences. As stated, most sources writing about motorcycle clubs have zero experience with actual club members, the COC, or apparently the foundations of the 1st Amendment to the U.S. Constitution. Although many of the details surrounding the incident in Waco have not been revealed, one thing we do know is that most media, and many law enforcement agencies, are using the Waco tragedy to summarily judge and stereotype a class of hundreds of thousands of individuals based on the actions of a very few. 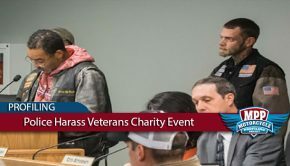 Using the Waco tragedy to create fear risks trampling the foundational freedoms of association and expression for motorcycle clubs as a class. This should concern every American. Again, this is not just a motorcycle club issue. The freedom of association is an extremely important American right, it is not a privilege. Misinformation is a primary component of propaganda and fear. The meeting in Waco was a well publicized political gathering of the Texas Confederation of Clubs and Independents solely intended to discuss legislative issues. In fact, COC’s have gathered across the country, including Texas, for nearly three decades without incident. COC’s are clearly a form of protected political activity. But from the onset, authorities in Waco insisted that the incident was the result of a gang meeting to discuss turf. This complete fabrication of reality has served as a launching pad for generalized discrimination and the mischaracterization of motorcycle rights groups like the Confederation of Clubs. This framing of the event was also used to justify the obvious deprivation of Due Process involved in arresting more than 170 individuals, without a shred of specified individualized suspicion or probable cause, and approving $1 million dollar bonds based on the prosecutor’s belief that punitive bail is justified if those arrested failed to cooperate. The 5th Amendment right to remain silent appears to have not been considered. The overzealous and overly-broad nature of the arrests is becoming increasingly obvious. Some bonds are being substantially reduced, although more than 100 are still incarcerated, and no formal charges have been filed or recommended by a grand jury. At least one civil rights lawsuit has been filed against the arresting entity and many predict that there will be many more lawsuits before the dust settles. “While all the facts of this tragic incident are still unclear, we do know that if any of the more than 170 arrests were based solely on membership in a group, the Constitution demands more, including probable cause. Mere membership in a group should never be the basis of an arrest. And dragnet arrests raise the specter of overzealous police work, just like we’ve seen at our border and in cities around the country. A simple search on Google will reveal that these destructive mischaracterizations are also seeping beyond the boundaries of Waco. Authorities from Tennessee to California are attempting to use the Waco tragedy to justify generalized presuppositions about motorcycle clubs and political gatherings like the COC. Law enforcement in some states have even directed citizens to call and report any sightings of motorcycle club members wearing their colors and warning citizens not to approach them because clubs are violent and dangerous. These generalizations are irresponsible, inaccurate, and reminiscent of how military dictatorships justify totalitarian police tactics to marginalize and then eliminate groups perceived as a threat. Motorcycle clubs, even self-identified 1% clubs, are comprised of individuals from a cross-section of society. 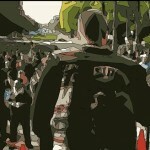 It is definitely fair to say a rebellious mentality permeates the mindset of many in the motorcycle club community. But broad generalizations of criminality are specious at best. Membership includes doctors, lawyers, legislators, veterans, ministers, mechanics, construction workers, truck drivers, and small business owners. Allowing the continued marginalization of motorcycle clubs based on sensationalized generalizations risks setting an extremely dangerous precedent that will ultimately erode the concepts inherent to the survival of a truly free and democratic society. Individuals should be judged by their behavior, not their appearance. Protecting the right of individuals that are members of politically and socially marginalized classes to freely associate, and express that association, serves as the bright-line and foundation that the 1st Amendment relies on to insure these protections are guaranteed for everyone. Imagine members of the Catholic Church, or other churches for that matter, being rounded up or treated as suspicious due to the publicized crimes of priests or preachers in their faith. Or imagine law enforcement issuing a warning to all people driving a car to not drive in their town because there was a tragic incident at a car show and they couldn’t tell the difference between car gang members and automobile drivers. Or imagine law enforcement stopping, questioning, and frisking any teenager wearing a trench coat based on the argument that there is reasonable suspicion after Columbine. The reason it is hard to imagine these things happening in America, where it is not acceptable or constitutionally permissible to base suspicion on an individual’s appearance or mere associations, as opposed to their behavior, is because the Bill of Rights is founded on the idea that expression and association are critical components and actual linchpins of a free society. Totalitarian governments justify sacrificing the civil liberties of innocent people based on an ‘ends justifies the means’ mentality. This unconstitutional mentality is simply unacceptable in an advanced democratic society and must be rejected by even those that have no connection to the motorcycle club world other than the idea that freedom depends on the individual right to associate and express that association. great article Double D. Keep up the good fight!!! well said. I have been trying to get people to understand the importance of what has happened there. I believe that this was set up for all of the reasons you stated, and more . I sent this to my friends on facebook, and will pass around your message in my emails. Thanks for your expressive way of pointing out how dangerous this is to what was once a free society. Good words and true words, unfortunately most have already read what the police dictated to the news media and believe what they hear. So most things you say will be tuned out by the average Joe or Joan. The things that will speak volumes in this case is how many were killed by the Waco SWAT team and how many others were shot by them. 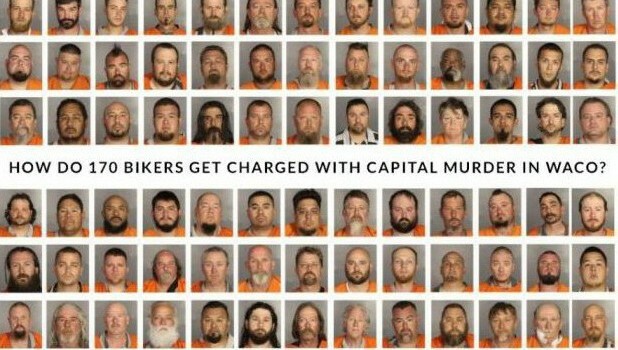 Waco will be sued over and over for these people (BECAUSE THAT IS WHAT BIKERS ARE) for a violation of their rights, property loss from being locked up, loss of life due to the police, and false arrest! 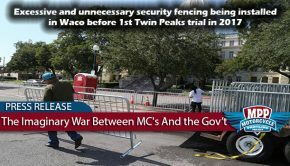 Once it cost the Waco community millions upon millions of tax dollars in lawsuits, they will begin to understand how bad their police and media screwed up, not before though. You are right though, look how churches are already looked at by the medias and such, it’s only a matter of time before this happens to them, gun owners or any other group that is looked upon negatively in the public’s eye! Then it may be too late to take a side and they can watch their world come crashing down around them. Too bad, so sad! Having a family member there who is innocent and visiting and listening to false jail gossip just tears our family apart simply because those that are innocent have to be treated like if they were guilty when they haven’t even been give a chance to prove their innocence and then some of the lawyers get deniened opportunities to see the so called evidence DA wished they had on these people I guess he has gotten away with treating people like that for so long it’s business as usual. That’s why 8 have already resigned and some have commented he’s an impossible person to reason or work with and would rather leave than go down with what he is doing violating their civil rights and ruining so many of their lives and future accomplishments. I sure wish more people like you would take a stand and help them. DA says they will work with everyone involved but yet that hasn’t been done cause the truth would come out and probably have to resign for his unjustly manner of this ludicrous situation. Reyna and his cronies are on a fishing expedition with these innocent people even one of the so called notorious biker group has never even made the FBI list of criminal organized biker gangs but the other has and everyone already smell set up because witness to 9 Bandidos were released that same night in the near by town of Lorena by Lorena PD so if they weren’t working with Waco law enforcement that supposedly knew this was gone happen then why did DA release them and has kept it from the world but was quick to tear these innocent locked up bikers with false accusations and lies. Seems to me that Someone’s insecurities lie very deep in my opinion. or let’s not forget the 2 Cossacks who changed into police jackets on scene, 2 more pulled from jail cells in the overnight hours, or the video that the AP has that shows the Cossacks readying weapons prior to the Bandidos arriving. But yeah, I’m sure that the Bandidos normally park their bikes in riding formation in the middle of a driveway, leave their ignitions on, or just let them fall over when they get off. Because surely they weren’t ambushed when they pulled up, right? Thank you John. I want to be responsible with my advocacy and not base my perspective on conjecture or data that has not yet been verified. It also seems that motorcyclists are the intended audience for much of what is being written. Although this is important, I think it is equally important, maybe more important, to reach the general non-motorcycling public because much of this struggle is dictated by general public opinion. With all the arrest and shootings in this current world of instant video phones and body cams. Why haven’t there been ANY videos produced?? Seems everyone knows the videos are out there!! Well written, articulated with a sense of pride. Commonly known this was exactly the same public fear that was generated in the early 50’s in or near Laconia. most people remember see the pic of one of the hamsters sitting on his scooter I enbreated and beer bottles all around. The idea was in my opinion unintentionally further supported by the movies. the Wild one,, Easy Rider, Hells Angels on wheels and others. This case has allot of answers before the question is even asked, this always gives me a moment of pause. One thing I know, can’t hide the truth., & don’t let it fade away into an obscurity. we’ll soon know, motorheads or cops as triple taps are telling. Reblogged this on ARE Y'ALL P!$$ED.YET….. WELL, JUST WTF WILL IT TAKE, PILGRIM?… -Gunny G…. IN FACT, IT NEVER STOPPED. Bring it Double-D! As always your articulation is spot on. You speak truth with conviction, which in turn compels even the unwilling to open their minds for consideration of narratives they may not wish to otherwise hear. Well stated my friend! The truth will eventually prevail. Hey Double D here is a differant outlook at what the Waco, Texas massacre has caused, and what we are dealing with down here. The facts that have been released indicate many of the fatalities were caused by the police firearms on site that day, as also caused many if not most of the injuries. 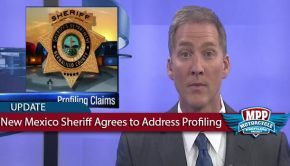 What is also known is that Sargent Swanson has fabricated many differant stories about what happened, and is planning to use this tragedy to run for Sheriff. Another fact is that every single person at the meeting that day had several civil rights trampled on, and those that lost their lives paid the price unjustly for a heinous crime committed by law enforcement. I was recently on a police facebook chat site and seen many of these police officers saying things like “lock them all up and throw away the key” or “play stupid games win stupid prizes” and a whole hand full of other things about us bikers that I don’t even know how to categorize, But how does the law enforcement officers and entire judiciary keep claiming integrity when they violate the same things they are paid to protect? I got in the discussion and in no polite way asked the policeman how it is that they take an oath of duty only to trample that oath they took into the ground, and what kind of integrity this was called? With in about 10 minutes I had the entire chat session quieted down and sandbagging on what myself and just 3 other officers was debating. It was at that moment I realized that these 3 officers was the non law abiding or corrupt officers in the entire crowd, and so I called them on it. After the curse words, names, and threats had settled down I promptly pointed out there actions and called on the other officers who was watching if they had noticed anything wrong with what had just happened. Surprisingly many of them started getting onto these bad cops and an argument broke out amongst them all. So now it was my turn to sit back and not knowing for sure what had become of this, I will only say that it seemed to work at dividing the LEOs and could possibly change a few of them back to upholding their oaths of duty. Now I want to strongly suggest that not anyone try this intentionally, because I just happened to be there at the right time and possibly with God looking over my shoulder. But, I hope that it will start bringing some of these cops going wild back to where they are paid to be. The American American, Fighting to Restore Our Free nation.